Unwarranted and Unregisted Vehicle parked Here all day. 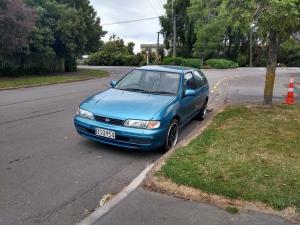 Blue Hatch, dented, WOF expired mid last year and no registration. Has been outside our property parked < 1m from our driveway and on yellow lines all day.